The November presidential election is still months away (even though it sure doesn't seem like it), but your voice can still be heard, like, right now! At least when it comes to sharing your opinion on the best places in the Inland Northwest to grab a coffee, treat yo' self to an ice cream cone or savor a tasty burrito. 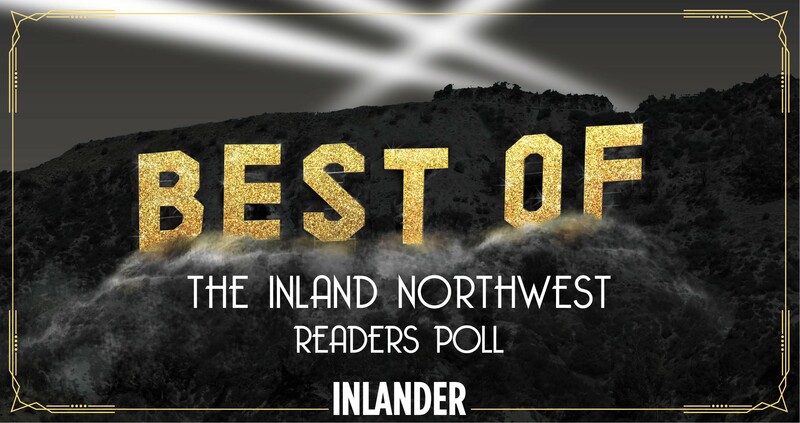 We all have local favorites, which is why we want all Inlander readers to share theirs for the 23rd annual Best of the Inland Northwest Readers Poll. It's really easy to vote online — you can even spend a few minutes right now on your lunch break to fill out a few categories. Then save and come back, but don't forget to finish and submit, filling in at least 40 questions on the ballot for it to count — by this Thursday, Feb. 18, at midnight. We'll be busy the next few weeks tallying the votes and prepping our big Best Of issue announcing all the winners, out on March 24. No, be off and vote! Speaking of Best Of , For Fun!